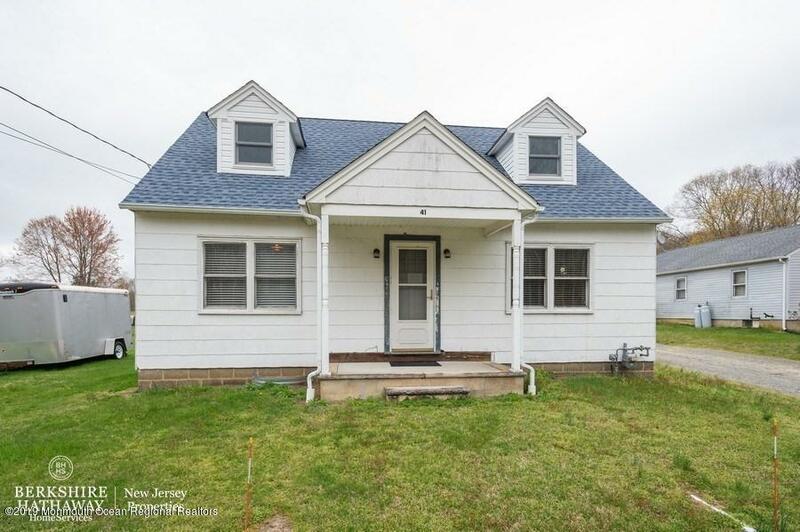 3 Bedroom Cape with hardwood floors, crown molding and Eat in Kitchen. Spacious backyard with an in ground pool. Minutes from the Freehold Raceway Mall and Downtown Freehold. Gorgeous Customized Delafield on Premium Lot backing to woods with Upgraded Cherry Kit Cabinets,Guest Bath with Handpainted Kohler Pedestal Sink, Family Rm with Fireplace with Stone Trim & Faux paint, Living room with Custom Window treatments, Master Bedroom with large walk in Closet, MBAth with Upgraded Custom oversized Shower Enclosure & designer ceramic tile ,two additional bedrooms with full bath with tub. Full finished basement with lots of closets, Utility room with newer washer & dryer, new roof with skylite, newer Lenox Furnace & A/C. Beautiful custom landscape ! Custom whole house stereo w/ speakers. Available to purchase fully furnished if desired! Indoor & outdoor Pool ! Fabulous community!Hurry...this won't last! light and Bright 4 bedroom, 2 full bath Bi-Level home situated in desirable Ardmore Estates in Northern Howell. The main level offers a living room, dining room and updated kitchen w/oak cabinets, B/I pantry, CT floors, SS appliances, tiled backsplash and deep SS sink. Recently renovated main bath with double vanity. 3 bedrooms on the main level. Lower Level offers the 4th bedroom, Family room with a brick based wood burning stove and additional full bath. Laundry-Utility room and extra deep 2 car garage. Entertain on the expansive deck, patio or enjoy evening gatherings around the fire pit. Roof (2014). Hardwood floors main level, and central A/C. Pull down attic stairs, abundant closets and new garage door openers and keypads.